Cal Buchanan needs a top-flight chef to take over his failing Seattle restaurant, The Waterfront. He can afford to hire the best in town, the only problem is that the best happens to be his ex-wife, Penny Jackson. Lexi Titan can just see the headlines. All of Titanville will be buzzing. Not that she has any other choice. Faced with exactly thirty days to come up with two million dollars, she is out of options. Marry Cruz Rodriguez or lose everything--the successful day spa she built herself, her tyrant of a father's respect. Kelly Murphy's life as a tulip farmer is pretty routine - up at dawn, off to work, lather, rinse, repeat. 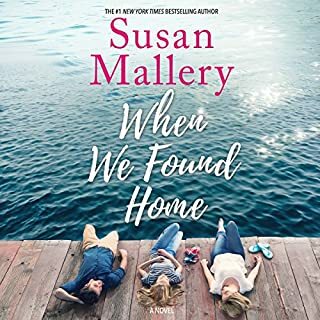 But everything changes one sun-washed summer with two dramatic homecomings: Griffith Burnett - Tulpen Crossing's prodigal son, who's set his sights on Kelly - and Olivia, her beautiful, wayward, and, as far as Kelly is concerned, unwelcome sister. Tempted by Griffith, annoyed by Olivia, Kelly is overwhelmed by the secrets that were so easy to keep when she was alone. The moment she turns 25, Kayla Bedford is going to grab her trust-fund money and take off for Paris. She'll drink wine, read at quaint cafés, and meet a handsome prince who'll sweep her off her feet. It's been her dream since she was 12. And now she's so close to realizing it, she's counting down the days. But first she's got to do something for her boss-slash-landlord-slash-best-friend. Patrick is a handsome, caring vet. But he needs someone to love, even if he doesn't think so. Wanted: Single mom seeks billionaire's pocketbook to fund dying son's research cure. Will seduce if necessary. Blackmail is not out of the question. Miracles welcome. L.A. accountant Megan Greene has a successful job, a handsome cardiologist fiancé, and a doting father. Surely they make up for her estranged sister and hypochondriac mother... and a niggling sense that something, somewhere, got lost along the way. But then Megan's life falls spectacularly apart. Faced with the knowledge that neither her father nor her fiancé are the men she thought they were, she is loath to trust Travis - the high school boyfriend who never quite left her heart. Logan Phillips didn't expect to like his nurse, let alone find himself attracted to her. But Melissa VanFleet's gentle humor and sweet spirit soothes the architect's frustration at his temporary blindness. He finds she's tempting him down a road he's sworn never again to travel. But a little TLC can go a long way. Susan Mallery before she learned to write. Andie Cochran thought she had at last escaped the clutches of her ruthless, power-mad ex-husband -- but then he abducted the child she loved more than life itself. And now, alone in a foreign country, she had no one to turn to but another very dangerous man -- a man who awakened passions she had thought long dead. After nearly a decade as a sous-chef in a trendy eatery, Jenna is desperate for a change. She’s supported her ex-husband’s dreams for so long that she can’t even remember her own... until she sees a for-lease sign near her parents’ home and envisions her very own cooking store. Her crash course in business is aided by a streetwise store manager and Jenna’s adoptive mother. Jill Strathern left town for the big city and never looked back—until she returned home years later to run a small law practice. It turns out her childhood crush, Mac Kendrick, a burned-out LAPD cop, has also come back to sleepy Los Lobos. Even though Mac rejected her back in high school, Jill can't deny the attraction she still feels for him. 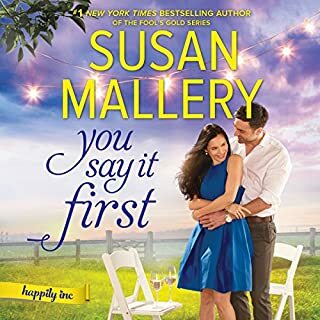 Now Jill and Mac are tangled in enough drama to satisfy the most jaded L.A. denizens—Mafia dons, social workers, angry exes and one very quirky eight-year-old make even the simplest romance complicated. And it all goes to prove that when it comes to affairs of the heart, there's no place like home. An unlikely pair...but a perfect match. 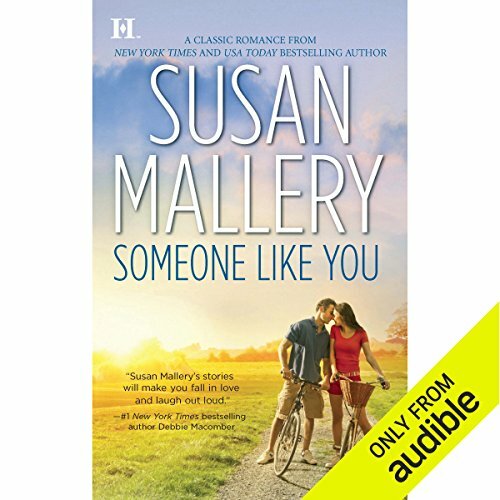 ©2010 Susan Mallery (P)2010 Audible, Inc.
What disappointed you about Someone Like You? The narrator did not do justice to this story. I wish I knew her name becuase I would avoid other books with her name. Would you recommend Someone Like You to your friends? Why or why not? 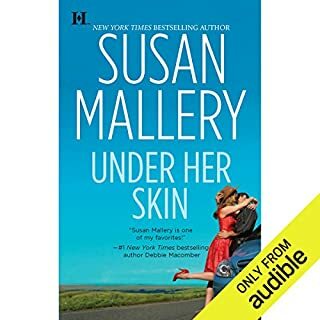 I would not recommend this audio book to any freind. The narrator was poor. Would you be willing to try another one of the narrator’s performances? What character would you cut from Someone Like You? I honestly don't know if this book is good or not. Because I get my books in audible, I depend on good (or, at best) passable readers. This particular reader ("unknown" in print and I cannot remember what her name is from the beginning of the book)...is horrible. She needs a great deal more practice to make a book...even the best of books...work. I honestly think she would make Nora's (JD Robb's) books "unlistenable"! Very sad. I may (or may not) purchase this book to read. 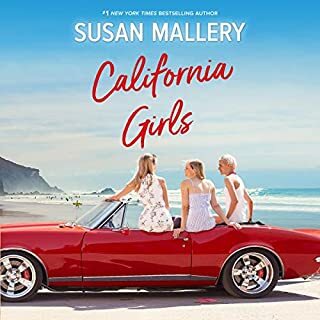 Generally I like Susan Mallery's writing (and listening to). This one, not at all. Could not listen to the reader. I'm sure this could be a good book. OMG the reader is soooo boring. The her tone never changed, you could not tell the difference between the Characters. While reading she never took a breath. Don't waste your time. Read the book yourself. The book falling for Gracie was great. Too bad it was not the same reader. After reading the reviews on this book, I almost didn’t choose it. I liked the story and the characters. I agree a better narrator could have enhanced the enjoyment of this story and although annoying at times, I still enjoyed this book. Not the audiobook! Maybe reading it on your own. The reader ruined it for me! This was a wonderful lead to Falling for Gracie... It was great to find the characters from one book to antoher. Thanks Susan it was another good book!! !